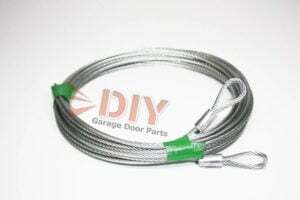 Have a broken garage door cable drum in North Bridgton, Maine? Buy quality made replacement drums online with same day shipping to CUMBERLAND county, ME if ordered before 11am EST. 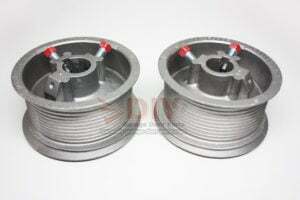 Garage door cable drums are found on a torsion spring garage door system, they are located on the ends of the torsion shaft and look like metal wheels or hubs. 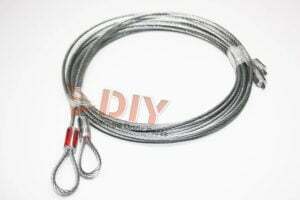 Most commonly made from cast aluminum, cable drums help the garage door remain balanced and level as the torsion cables wrap around them, when the door lowers and raises. Residential and light commercial garage doors use drums with a four-inch diameter, while heavier doors use five-inch drums. 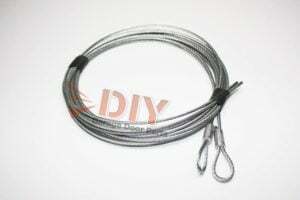 DIY Tip: Any time you work on a torsion spring garage door system you have to take the tension off of the springs. To take the tension off you will need a set of Winding Bars. 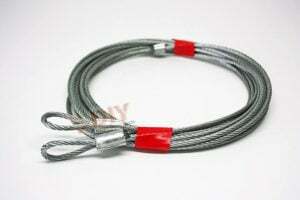 There are two different kinds of winding bars, round and hex. They both to the same thing but the hex bars are stronger and easier to grip. Round winding bars are a little harder to grip and not quite as strong, but they still do the same job. 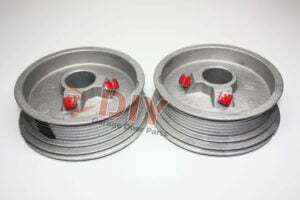 Winding bars fit into the slots at the end of your torsion springs, you put pressure on them to loosen the set screws on the springs. After that you use them in succession to release the tension. These garage door drums are four inches in diameter and are most commonly used for residential torsion spring garage doors up to eight feet high. These drums have a weight capacity of 265 pounds per drum and can handle cables up to 1/8-inch thick. 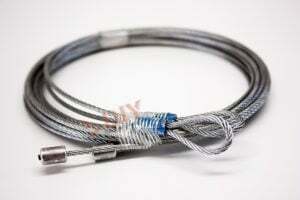 When you notice wear in the grooves that separate the cables, or cracks or chips in your old drums, it’s time to replace them. Torque Force 400-96 drums make excellent replacements for worn out or cracked OMI 8, APCO 400-8, DNS 4X, and Overhead TD-1A drums. 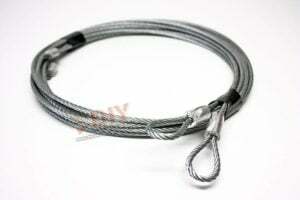 Order your new North Bridgton, ME Torque Force garage door cable drums online and worry free today! These garage door drums are four inches in diameter. With a weight capacity of 375 pounds, they can be used on heavier garage doors up to 12 feet high. A drum can sometimes slip, causing one side to be higher than the other so the door won’t seal on the ground. However, because the Torque Force 400-144 drum is wider, it provides more surface area for gripping the torsion bar and reduces the risk of a slip. We provide fast shipping to the following Maine areacodes, 207. We ship our products anywhere in the USA, even if you need Cable Drums in Topeka, Kansas! While ordering parts to fix your broken garge door, we strongly recommend grabbing one of our professional garage door lubrication products. A few quick sprays on your rollers, hinges, etc will keep your door working smoothly and quietly. We keep a wide variety of garage door parts in stock, feel free to browse our inventory! There you can find brackets, opener parts, transmitters, recievers, opener, hinges and more. Make your garage door in North Bridgton, Maine 04057 in CUMBERLAND county, extremely quiet by upgrading to the Torque Force 400-144 cable drum. 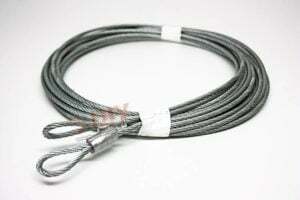 Its wider grooves hold thicker cables and allow for more separation between the cables. This prevents any rubbing, as well as the noise that is commonly heard during the last two feet of opening. Because the Torque Force 400-144 and Torque Force 400-96 are both four inches in diameter, there will be no change to your spring configuration or size. 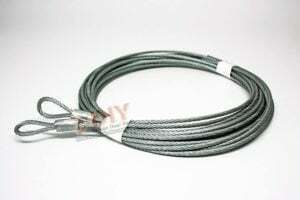 To silence your garage door system even more, add a set of 3/32-inch torsion cables. Don’t forget to check out our How-To and Product video library for more garage door tips and advice. If you have any questions about choosing the right North Bridgton, Maine garage door cable drum, or you need help understanding the proper way to replace your drums, call us at 1-866-813-7899. Replacement Garage Door Cable Drums North Bridgton, Maine, ME.